Investing in stocks electronically has become popular among small investors given the easy access to internet and penetration of trading and demat accounts across the country. So anyone who invests in equity is familiar to an extent with trading or investing online. However, a majority of these people (until the last year or so) were not aware that they can invest in Gold electronically. There is a clear lack of awareness about exchange traded funds (ETFs) in India. 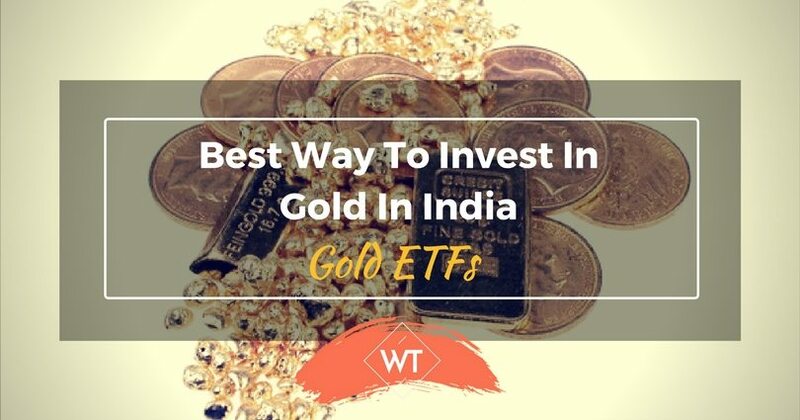 Gold ETF is one of the smartest ways to invest in Gold because you need not worry about safety, purity and other hassles that are common with physical gold. Gold (preferably in ETF form) should be a part of individual portfolios due to its ability to provide hedge against inflation and serve as an alternate asset class which is not directly correlated with traditional financial assets. ETFs are passively managed funds that track an index or asset directly, and its returns are linked to the underlying asset or index. For instance if spot Gold Price is around 2,060 per gram then one unit of Gold ETF (representing 1 gm of Gold) would be at Rs.2,015. An investor can buy 1gm or more as per his requirement on the stock exchange where the Gold ETF is listed. When an investor buys 10 gms of gold at Rs.2,015, he is effectively investing Rs.20,150 in total and the fund maintains an equivalent holdings in pure gold in a safe custody. Gold ETFs are funds which invest the funds collected from investors in standard gold bullion (0.995 purity). These instruments are denoted in units with each unit representing one unit of Gold. For instance assume UTI Mutual Fund’s Gold Share (one of the earliest Gold ETFs) trades at Rs.2,050 (price at release time of this blog), which is equivalent to the value of one gram of gold. Unlike other physical forms of gold, Gold ETFs can be traded and held in an electronic account just like stocks. Moreover, the transactions costs, risks and other issues associated with physical gold are totally eliminated. The biggest advantage is the standardized price that is discovered by market demand and supply, which shields small investors from making charges, and huge margins during sale of physical gold. In case of Gold ETFs the cost during purchase is equivalent to the brokerage charges (roughly 0.50%). In case of bars and coins there can be a mark up of 10-20%, while jewelry would have making charges of around 15-20% of the value. Gold ETF is maintained in a demat account and maintenance charges are minimal and fund management expenses also amount to slightly above 1%. If you already have a trading and demat account the incremental costs are miniscule. However, in case of physical gold insurance, locker charges, etc can take a toll ranging from few hundreds to thousands. Gold ETF does not have any physical risks such as getting lost, theft, damage, etc, which is a huge worry in case of physical gold. People who start accumulating jewelry, coins, etc for good reasons always have the threat of theft. This is similar to purchase costs for Gold ETF, while in case of bars, coins and jewelry there can be a significant mark up. For jewelry anywhere between 10-20% mark up is expected. Moreover, the lower mark-up is feasible only if you sell it to a jeweler from whom you originally purchased. In other cases it will be closer to the higher-end. Since retail investors can just one gram at a time and accumulate, its more affordable for small investors to participate. Once can buy one unit at a time and accumulate overtime. However, remember that Gold ETFs are good investment vehicles and may not directly serve the purpose of accumulating physical gold for marriage and other traditional needs. But one can still grow their investment in the same way. 1. Invest in physical gold separately for traditional requirements (marriage, gifting, etc) and keep it in locker. Meanwhile your Gold ETF investment remains separate. 2. 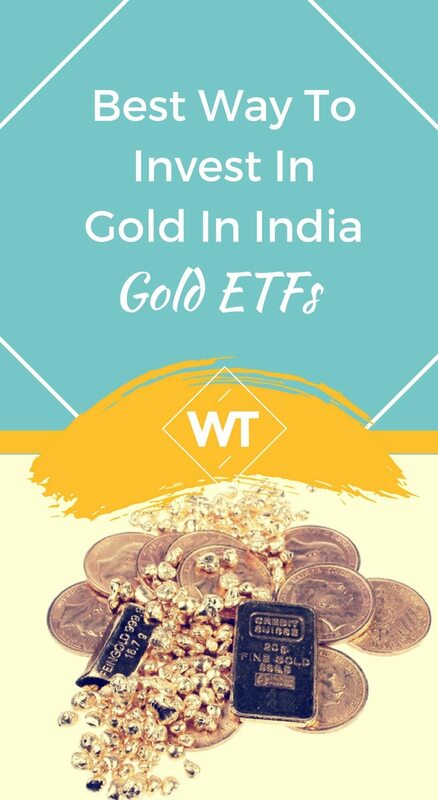 Invest in Gold ETF for long term and accumulate gradually keeping in mind both traditional requirements and investments. When the time for buying physical gold is a few months away, sell the Gold ETF as required and use the cash to buy equivalent physical gold from a jeweler. Now you can keep physical gold in a safe locker, while the remaining Gold ETF holdings (if any) continues to remain invested for long term. This is a case where you invest in a new fund offer of a Gold fund and end up paying 1.5-2.5% entry load. I would rather suggest you to buy an ETF listed on the exchange and trading with decent volumes. There are two reasons for this – one is the brokerage would be much less (0.50%) for buying from market, and secondly the new ETF does not boast of a good track record (fund), volumes and trading history. This is the best option, because the prices are transparent and you have the option of selling intraday or after a few day or weeks or months if you want to. This is the key advantage of using ETF route for investments. Choosing a fund with a longer track record and good volumes (liquidity) may be worthwhile. For instance Gold Bees (of Benchmark Mutual Fund) and Gold Share (of UTI Mutual Fund) have been long standing players with decent volumes. There are a few new players with lower volumes. However, among funds which are already listed and operating, there is not much product differentiation but liquidity would be important because where volumes are low buying or selling can become difficult. Adding a touch of Gold to your portfolio is important because it can provide you a cushion against inflation. Secondly, Gold is not directly related to other financial assets, so when financial systems collapse Gold will become a safe heaven. Does it sound too good to be true? When gold touched $1000 per ounce mark in March 2008 making a record several analysts believed it to be a bubble or hype. Economic issues in late 2008 kept Gold under bay because the world was reeling under economic crisis, but in 2009 Gold once again surpassed the $1000 mark and broke previous records. I’m not suggesting you to put all your money in Gold, but taking gradual exposure and investing 15%-25% may be a good idea. The good old practice of accumulating gold that our forefather’s did is true even today, but the mode and vehicle of investing in Gold has undergone a rapid change due to advancements in finance and technology.